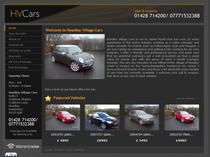 A domain name is your sites web address, such as www.dealerworks.co.uk. 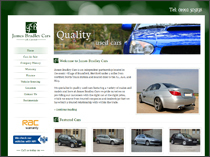 It's also used for your email, such as sales@dealerworks.co.uk. Provided that you use one of the standard options below there are no additional transfer or support charges. Should you require further assistance with the transfer or configuration of your domain name, we can provide additional support however we charge for this service. This support may include contacting a third party to arrange the transfer of your domain. If you don't have a domain already, we'll include a domain name with your new DealerWorks package, this is the easiest way to get your new site up and running because we can configure it for you right away. Just let our team know the domain name you would like (.co.uk, .com or .net), so long as it's available we'll register this for you. 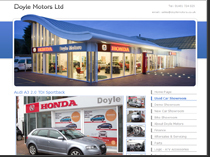 If you already have a domain name and would like to use it for your new DealerWorks website, it needs to be transferred to our systems so that we can configure it for you. The domain remains in your name, we'll just take over the management from the existing provider. For .co.uk domains you'll need to change the domains TAG to 2DSERVERS. For .com or .net domains, you'll need to have the domain unlocked and provide us with the EPP code. This allows us to initiate the transfer, you must then confirm the transfer by clicking a link within a special confirmation email sent to the domain admin contact. This can be done through your current providers control panel or by contacting your previous provider if they don't have such a control panel. Alternatively, if you wish to keep the domain name with the existing provider you can - just be sure to renew it as needed. To transfer DNS control to us, set your domain's nameservers to ns1.2dservers.net and ns2.2dservers.net. If you have email accounts hosted on your current domain name you may need to backup the email before moving the domain. POP Accounts - The email will be stored on your computer so when the hosting changes, you'll simply change the details to those of your new mail accounts and continue using the email as normal. IMAP Accounts - The email will be stored on your current hosts servers, when the hosting changes you may no longer be able to access your email. You should arrange a local copy of your email if you require access to historic emails as your new accounts on our servers will be empty. At additional cost, we can typically provide an email migration service. Please let us know if you think you'll need this.